"Optimus Prime smash!" in "Transformers: The Last Knight." Despite being the right age, I was never into Transformers as a kid, so as an adult, I haven't had much of an interest in the film series, and thus haven't seen any of them. 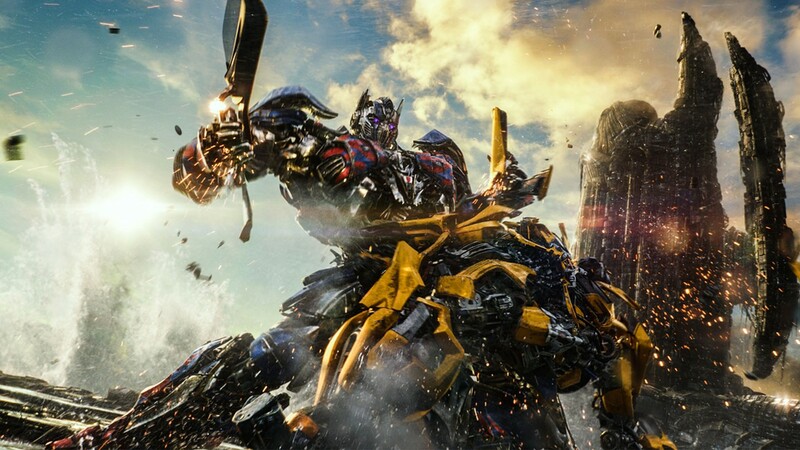 I can't speak to whether "Transformers: The Last Knight," the fifth installment of the massively lucrative global franchise, is any better or worse than the previous movies. But I do know that the guiding idea behind the series appears to be: "What if we took a beloved property about how neat it would be to make friends with a race of alien robots who can turn into cars you can ride in, and made it absolutely no fun whatsoever?" Mark Wahlberg returns to the series as the impeccably named Cade Yeager, inventor and unofficial protector of the Autobots. In order to save humanity, Cade teams up with Izabella (Isabela Moner), a spunky orphan he insists on calling "bro," and Dr. Vivian Wembley (Laura Haddock), an Oxford professor-slash-supermodel, to use a medieval talisman to find an ancient staff that will help prevent the Transformers' home planet of Cybertron from crashing into Earth. Or something. Also there's a connection to Arthurian legend. Sitting through "The Last Knight" is like listening to a 5-year-old on a sugar high describe a dream they had ... while they pummel you with the entire contents of their toy box. The plot is so indecipherable, I can only describe it in the style of Bill Hader's club kid SNL character, Stefon. This movie has everything: three-headed robot dragons; Mark Wahlberg quoting Arthur C. Clarke; malevolent assassin pocket watches; Nazi flashbacks; secret messages hidden in children's pop-up books; drunk Merlin; interstellar space goddesses; Stonehenge; Sir Anthony Hopkins as the keeper of the secret history of Transformers; and a psychopathic metal butler named Cogman. I know listing everything this way makes watching the movie sound like a blast, but in practice, even half-heartedly keeping track of it all is exhausting. At some point during the endless climactic battle, I realized that a young boy was singing the ABCs at the top of his lungs in the middle of the theater. Normally that might have proven annoying, but here it provided a much-needed tether, pulling me back to reality when time and space had started to lose all meaning. So I thank you, child. I definitely saved myself a lot of headache by not having any previous point of reference for the nonsensical story; whenever something didn't make sense, I chalked it up to being something established in a previous film (although based on conversations after the fact, it seems that's hardly ever the case). There's no need for a movie about giant robots smashing things to be this complicated. But there's so much weirdness crammed into the margins (for example: a throwaway line tells us the Transformers aided Harriet Tubman with the Underground Railroad), that it becomes kind of compelling. There's something to be said for Michael Bay's determination to deliver pure kinetic chaos and spectacle straight into his audience's eyes, and if you surrender to its gonzo energy, it's hard not to get caught up in it, at least a little. Just remember to bring some aspirin. Check back on Friday for additional film coverage, including a review of Edgar Wright's "Baby Driver."